Link building is the best way to sustainably build your visibility, organic traffic and domain authority. Our tool helps you to keep track of your link prospecting even after your hundredth page visit. The Link Prospecting Tool allows you to get the most out of your link building analysis by showing you the most relevant pages for your selected keywords. You could, of course, enter keywords directly in the search engine and laboriously click through from one link to another. But the Link Prospector can do much more. 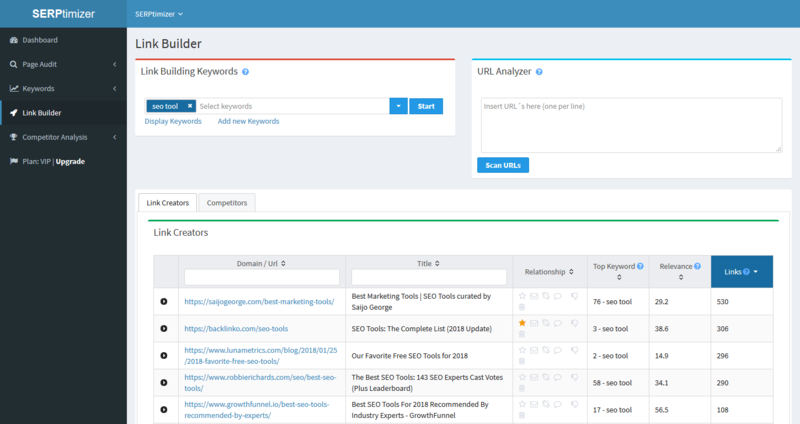 Within seconds, it evaluates a list of keywords and displays them sorted by the number of links to your competitors. Of course, you can also display the list according to keyword relevance or keyword SERP rank and filter it according to other keywords. Each link can be marked so that you can recognize links you have already visited. Enter your desired keywords into the Link Prospecting Tool and watch the Link Builder take up its work. This tool will provide you with the web pages that create the most links relevant to the selected keywords. All this information is listed on the Link Creators tab. 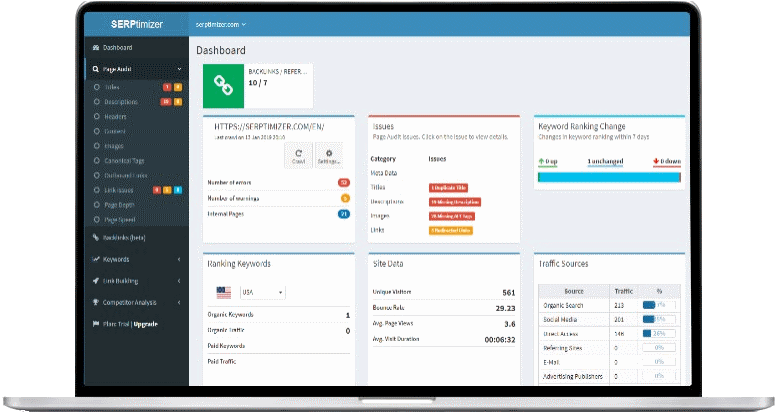 There you will also find the title, URL, number of outbound links to your competitors, the SERP rank of the keyword, the relevance of the links to the keyword, and the number of follow and no-follow links. The Competitors tab shows you the competitors for the keywords used. These are the pages that receive the most links within this analysis. The title, URL, SERP rank and number of links received are displayed. Have you collected backlinks from your competitors? Then you can insert them into the URL importer and evaluate all links in no time at all. The Link Prospecting Tool offers a variety of filter functions. You can use these filters to restrict the search results. This includes searching for specific links and link types, including Follow/No-Follow. The Prospecting Tool also allows you to filter results by entering a search term in the URL or title. You can also sort the results by different search preferences such as number of links, relevance, keyword rank, etc. Our tool helps you to keep track of the large amount of data. Once you have found a page, you can mark it as favourite, contacted or linked. You can also leave a comment and by clicking on the delete icon, the link will no longer be displayed in later analysis. The “Relationships” menu item will show you the list of all the relationships you have. Here you can update the status of existing relationships at any time.